Fashion is more powerful than San Francisco's hatred of chain stores. Last year's GQ designer of the year is proving himself to be the Prop. G buster -- the San Francisco ordinance that limits where chain retail can open. Fashion designer Thom Browne will bring his Black Fleece line to the City's Fillmore district after the Planning Commission approved the idea despite concerns that the Brooks Brother outlet would violate Prop. 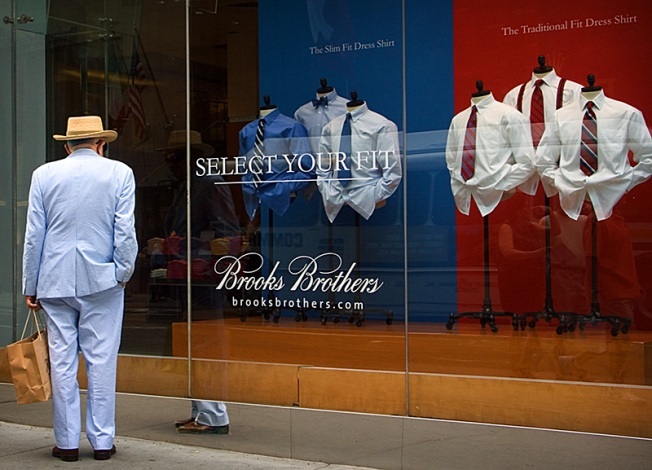 G.
The store will be only the second location in the country for Black Fleece but Brooks Brothers has stores across the country. The Planning Commission cleared up some gray area with the decision. Since voters approved Prop. G, more than a dozen would be stores have had their applications rejected or have withdrawn them altogether amidst neighborhood complaints. Black Fleece will open at 2223 Fillmore St. in San Francisco.